The episodic game series will see players helping Jesse and friends on a quest to save the world. The Walking Dead: Michonne developer Telltale Games has revealed new details for its upcoming five-part episodic series Minecraft: Story Mode. Created in partnership with Mojang, Minecraft: Story Mode will follow protagonist Jesse, portrayed by actor Patton Oswalt. Jesse and his friends admire The Order of the Stone, a group of four adventures (a Warrior, Redstone Engineer, Griefer and Architect) who once defeated an Ender Dragon. While at EnderCon, Jesse’s group discovers ‘something is wrong,’ and sets out on an adventure to find The Order of the Stone with the hope of saving their world from destruction. In addition to these new story details, Telltale has revealed some of the series’ cast. In addition to Patton Oswalt as Jesse, the game will feature voice acting from Brian Posehn, Ashley Johnson, Scott Porter, Martha Plimpton, Dave Fennoy, Corey Feldman, Billy West and Paul Reubens. Additional casting details will be revealed at a later date. We’ve worked closely with the amazing team at Mojang to ensure this story is a natural fit for the Minecraft world fans already know and love. As Jesse, players will steer their own path through a tale of adventure and survival; all brought to life by an all-star cast. 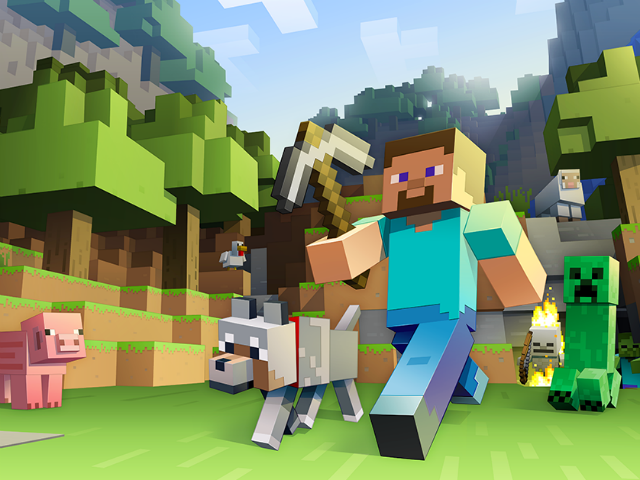 Through Telltale’s choice-based gameplay and a story spanning from the Nether to the Farlands, the End and beyond, we can’t wait for fans to experience this new take on the beloved world of Minecraft. Minecraft: Story Mode will be available as a standalone title later this year on iOS and Android, as well as home consoles, PC and Mac. The story’s progression will change in response to player choices in both dialog and action sequences.